The Dodgers, The Golden State Warriors, Los Angeles Football Club—what do they all have in common? Peter Guber is at the helm of their ships. Not only has Guber dipped his toes into all the most popular sports (baseball, basketball, soccer), but he also breached the world of online gaming and esports with Team Liquid and AXiomatic. After taking ownership of an all-star team in almost every sport, Guber is restless to find new avenues for growth in the sports world. Guber recently released his plans for an 18,000-seat stadium to be built in 2019. It will be privately funded and located in the Mission Bay area of San Francisco. 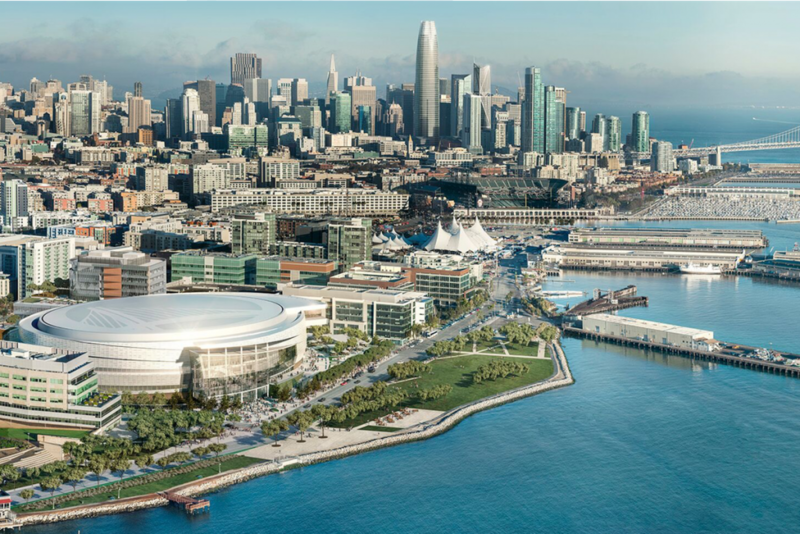 The Chase Center will be home to Guber’s NBA team, The Golden State Warriors, moving them from their home base at the Oracle Arena in Oakland. While it will be primarily used for basketball, it will have a theater configuration and a view overlooking the water of the bay. Construction started in 2016 and it is estimated to be finished by 2020 at the latest. This isn’t the first time Guber took on a sports arena. To accompany his new L.A. Football Club, Guber backed a $350 million soccer stadium for Major League Soccer in downtown L.A last year. This was the first open-air stadium the city has seen since the 1960s.